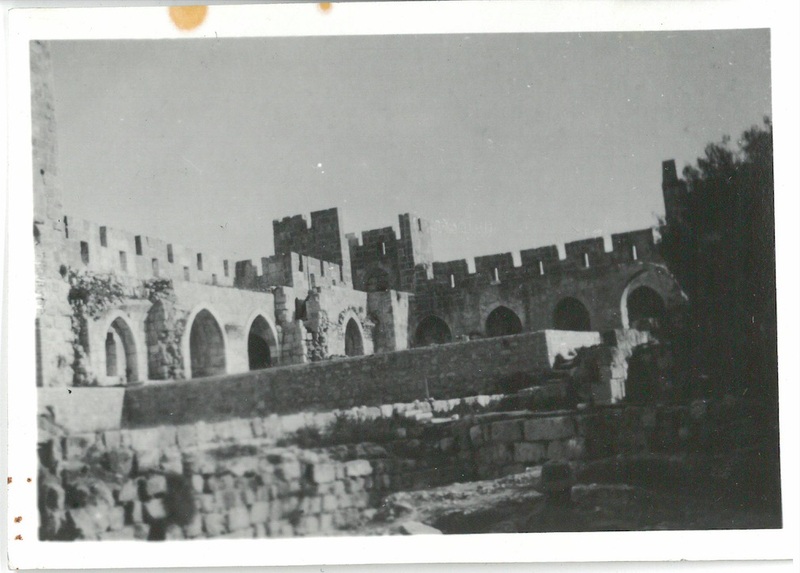 In my Grandfather’s WW2 diary on the entry for Saturday February 6th 1943, he tells of an excursion to Atlit Castle. Afternoon on tour to Atlit Castle. Travelled nearly to Haifa then turned to west. Looked over Crusader Cemetery. “Atlit Castle” last stronghold of Crusaders. Massive stone buildings – network of passage way built entirely underground. Fort dates back to _____ over 3000 years ago. Many ??? cut out of solid stone. Looked over structure & pipes of Roman water system to supply Caesars. 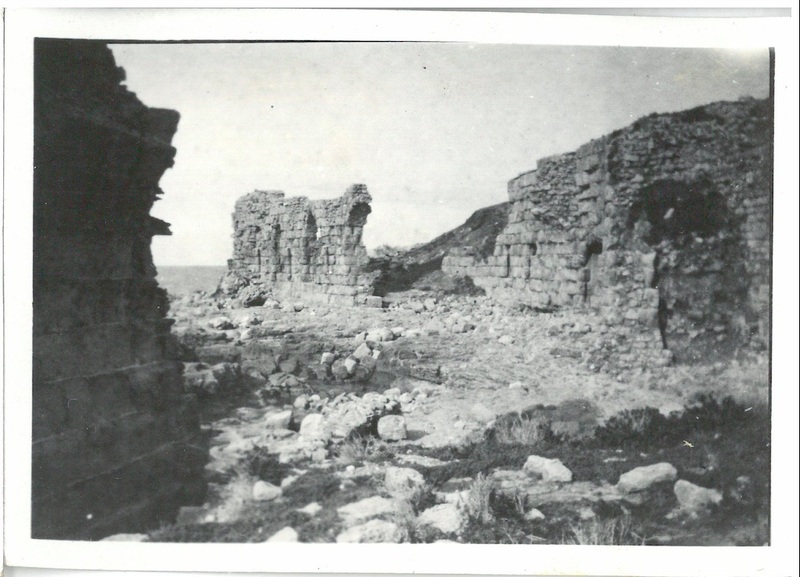 The two photos contained in this entry he likely took on this excursion from the Convalescence Depot, while recovering from his wound received during the 2nd battle of El Alamein. Atlit Castle is also known as Château Pèlerin and is approximately 13kms south of Haifa in present day Israel. The Knights Templar began building it in 1218. It was lost to the Mamluks in August 1291. The structure was damaged in an earthquake in 1837. Today its apparently part of a training zone for Israeli Naval commandos and is not available to be visited. For more information, you may like to read the Wikipedia page. Trust the Israelis to use an ancient castle ruin as a training ground for modern warfare! Its quite possible that at least the castle is being protected now its in military hands. I can’t say the same about other ancient, historical sites.